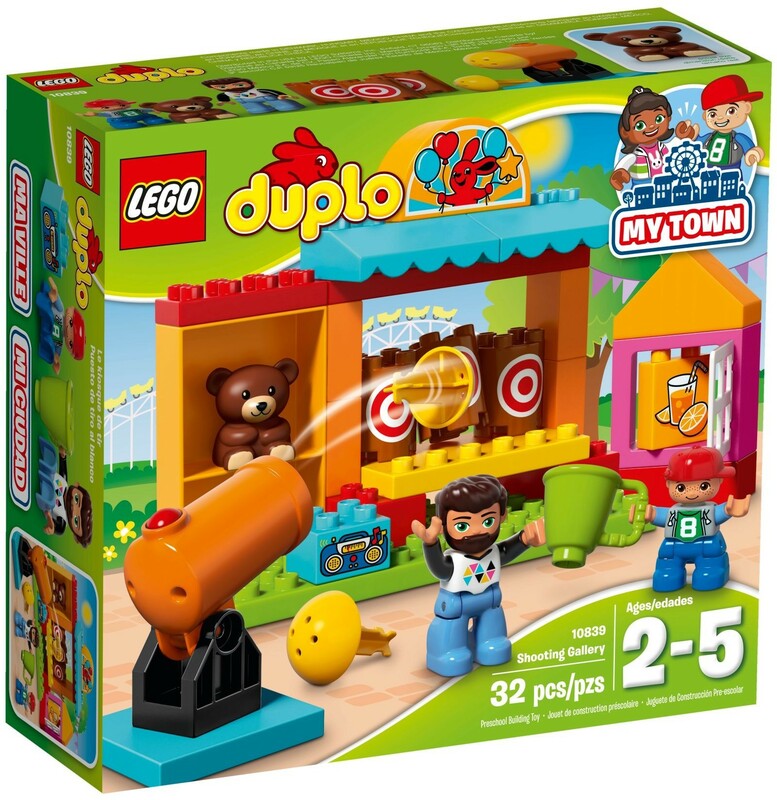 Young children will love to fire the cannon at the 3 targets on the LEGO® DUPLO® Shooting Gallery stall. 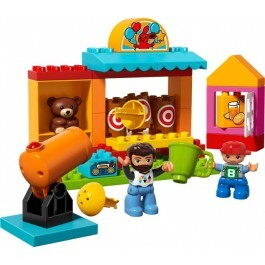 Encourage them to have fun trying to knock them over, and they can win a prize for one of the 2 DUPLO figures. Help them fetch a drink from the juice kiosk, and then rebuild it together and play all over again! 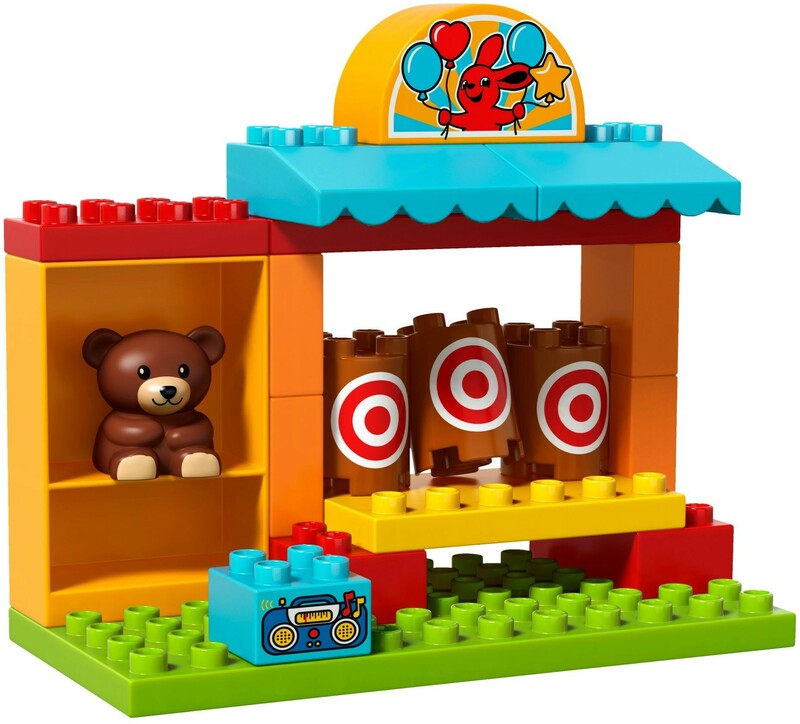 Includes 2 LEGO® DUPLO® figures: dad and a child, plus a teddy bear figure. Features a shooting gallery stall with 3 targets, cannon with shooter function and a juice kiosk. Includes bricks decorated with targets, juice and a radio as story starters. Accessory elements include a cup and cannon darts. Help your child use the shooter function on the cannon to aim at the targets, and have fun trying to knock them all down. 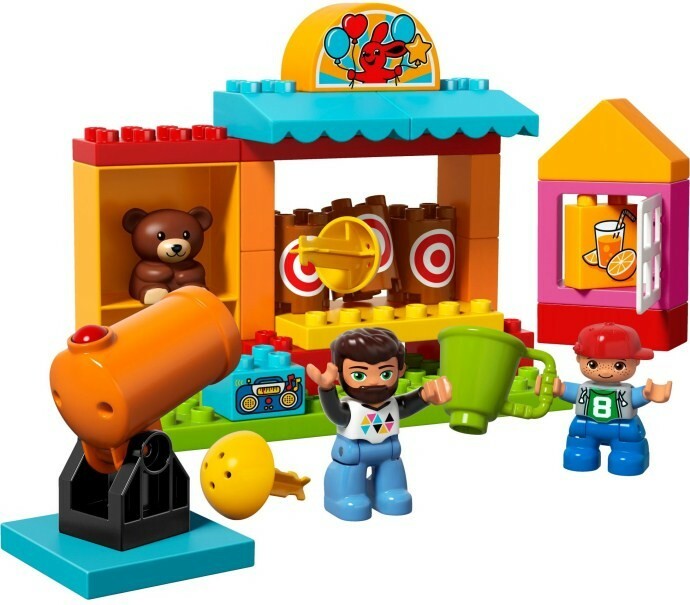 Develop role-play skills with the dad and child LEGO® DUPLO® figures, and create stories around winning the prize. Use the modern characters, accessories and decorated bricks to play out family fun at the fair. Shooting gallery stall measures over 7” (17cm) high, 7” (19cm) wide and 3” (9cm) deep. Juice kiosk measures over 4” (11cm) high, 2” (6cm) wide and 1” (3cm) deep. Cannon (fully extended) measures over 3” (10cm) high, 3” (9cm) long and 2” (6cm) wide. Combine with the 10840 Big Fair or 10841 Fun Family Fair to extend the play.